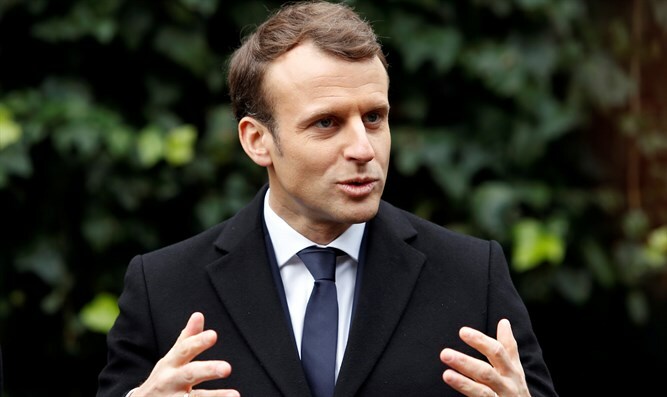 French President says his country will launch attacks if proof emerges that Syrian regime used banned chemical weapons against civilians. Macron’s statement follows recent reports of chemical weapons attacks in Syria. Last week, Arab media reported that at least 20 people were killed in a suspected chemical weapons attack in Saraqib. Reports of the latest chemical weapons attack came days after the Trump administration accused Syrian President Bashar Al-Assad's government of producing and using "new kinds of weapons" to deliver deadly chemicals, despite committing to abolish its chemical weapons program in 2013. The Syrian regime denies having any connection to any chemical weapons attacks that have occurred in Syria since the start of the civil war there.